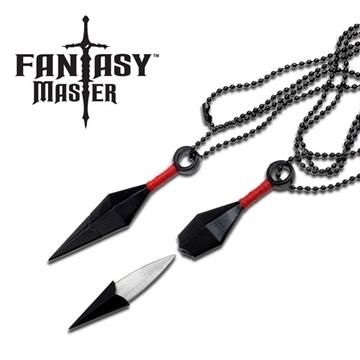 Fantasy Master is for the true collector and fantasy aficionado. 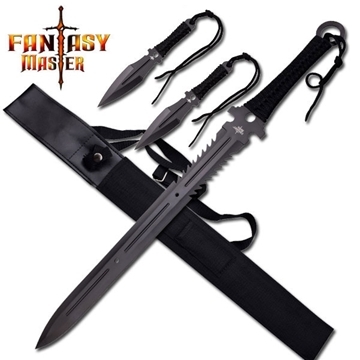 Offering a wide variety of fantasy collectibles ranging from samurai swords to daggers to the truly outrageous conversation piece. 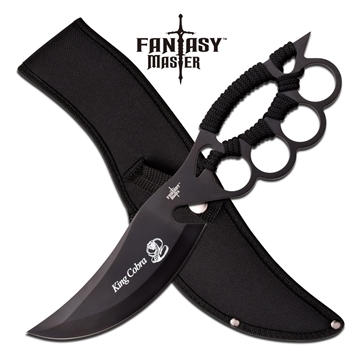 Fantasy Master has been gracing offices, man caves and living rooms for many years! 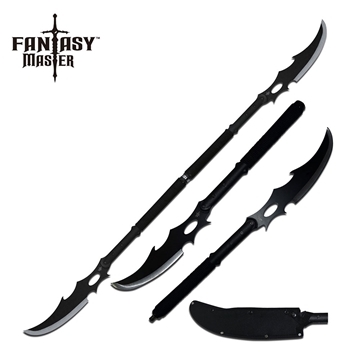 Weapon of choice by Asuma Sarutobi! 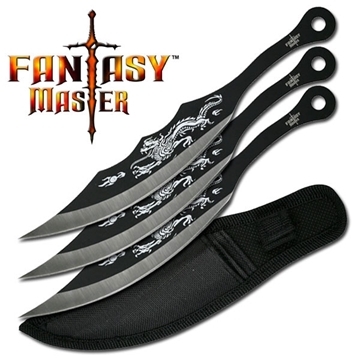 Cool dragon design and unique arced shape to boot! 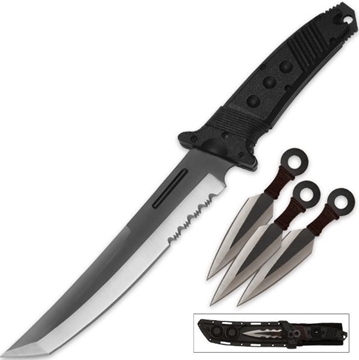 Perfect for reaping zombies or your enemy of choice! 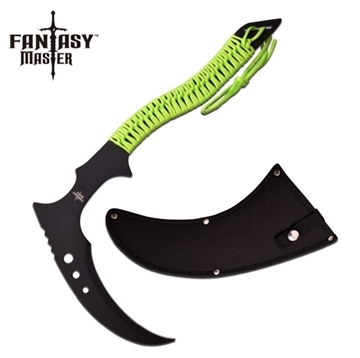 Available in red or green, this knuckle guard knife comes complete with gut hook! 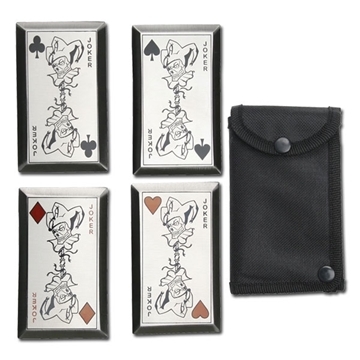 Four piece stainless steel Jokers Wild throwing card set includes nylon carrying sheath. 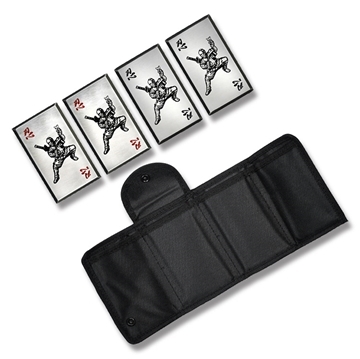 Dimensions are 3.75" x 2.25"
Just like the trench knives wielded by Asuma Sarutobi! 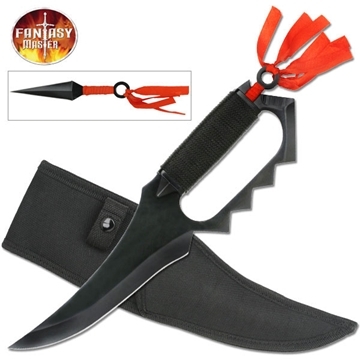 Add a kunai sneak weapon. 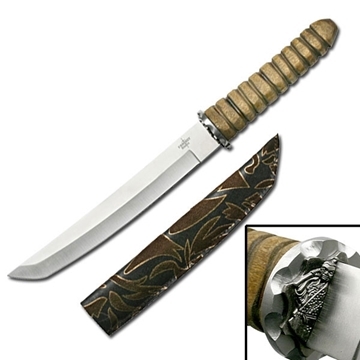 Lightweight tanto fixed-blade knife features wooden handle, decorative hilt, and leather-like patterned sheath with belt buckle. 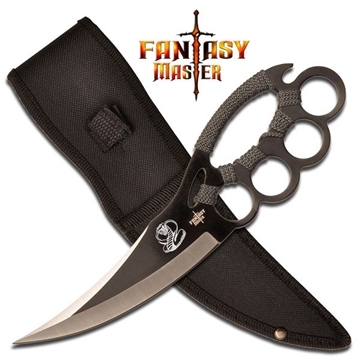 A true ninja warrior’s package!